Matheran, the smallest hill station in Maharashtra is known for its pleasant climate, its toy train and for being the only vehicle free hill station in the country. Need more reasons? 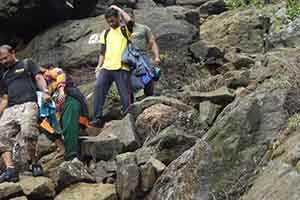 It is also one of the best trekking places in the Western Ghats. It is located close to Karjat and can be accessed easily via Neral. A long weekend is coming up and so we thought of providing you with 12 awesome places to visit in Matheran and fall in love with its rustic, old world charm! 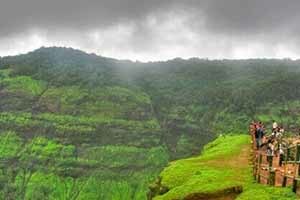 One of the most popular attractions in Matheran, Louisa point offers splendid views of Prabalgad and Vishalgad forts. 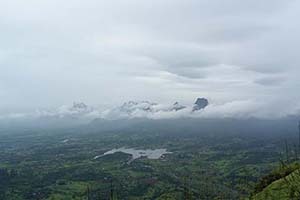 If one happens to travel to Matheran during the monsoon, it offers great views of waterfalls from the neighboring mountains. 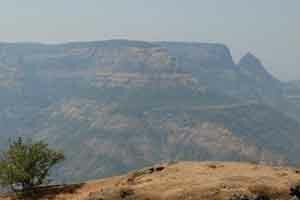 As the name suggests, the One Tree Hill Point in Matheran has only one tree! If you are sporty enough to walk that extra distance, this point offers a magnificent view of Matheran and you get brownie points in the form of feeling on top of the world! This point is also less crowded as most visitors do not choose to exert themselves physically. 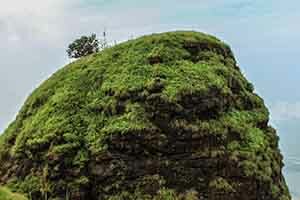 Shivaji’s Ladder is located at a distance of 3.5 km from the Matheran Railway Station and is enroute to the One Tree Hill point. Historical records state that this pathway was used by the legendary Maratha Emperor, Chattrapati Shivaji Maharaj for his hunting excursions. Today, this pathway is used by the locals for their day to day travel. 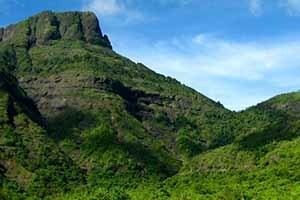 It is also popular among trekking and adventure enthusiasts who visit this weekend getaway near Mumbai. Also known as the sunrise point, Panorama is a much-admired spot for the beauty it offers. This also makes it a very good spot for camping in Matheran where campers are greeted with a beautiful view of the sunrise. 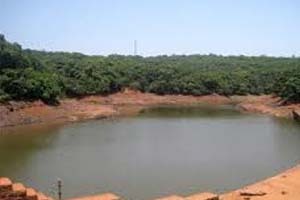 Another notable feature is that it is located close to the Matheran Market. Located close to Echo and Louisa points, Charlotte Lake provides a serene view of the calm water for those who are seeking peace. Over the years, this spot has become popular with tourists giving rise to small stalls providing tea, snacks, lemon juice. . . and monkeys! Known as the Muranjan fort until it was captured by the Marathas, a trek to Prabalgad will leave one spellbound with its natural beauty. Today all that remains are some ruins and a temple of Lord Ganesha. 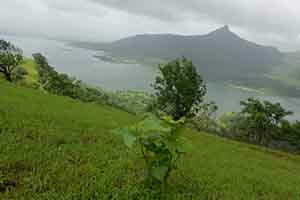 One can get a good view of the adjacent Kalavantin pinnacle from the top. Considered as the twin of Prabalgad, a trek to Irshalgad provides magnificent views of the surrounding valleys, mountains and specifically Morbe Dam. 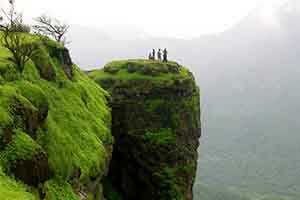 Adventure lovers should definitely visit Prabalgad and Irshalgad for their mandatory dose of adrenaline! This point provides a picturesque view of the surrounding hilltops and valleys and is lush with colorful wildflowers which make it an excellent location for clicking pictures and yelling out your name at the mountains! If Panorama is the sunrise point, Porcupine defines sunset. This place provides a great view coupled with a quietude that comes from the setting of the sun. Prabalgad fort stands out in the pinkish-orange hues of the sky right before the sun dips. The Chanderi mountain range is located close to the Matheran region and is one of the most popular destinations for overnight camping near Mumbai and Pune. A trek up the cave is an exhilarating experience and should be a must on the to-do list of adventure and trekking enthusiasts. Trek to Chanderi caves is a good option in monsoon. Flourishing natural beauty, tranquility and a breath of fresh air are the terms that define this spot justly. Alexander point is the perfect place for spotting the myriad hues of the sky and indulging in some photography. The view of the sunrise from this spot is mesmerizing inspires one to stay in the company of nature. This 11th-century heritage site is located close to the river Vadavan and is known by names such as Ambreshwar Shiva Temple and Puratana Shivalaya. As the various names suggest, the temple houses Lord Shiva as the chief deity and is extremely popular among the masses for its magnificent architecture and legends.